Thanks. 🙂 Glad I finally made a start on watching him! Gotta love the old classics! Great post! I love Charlie Chaplin! As far as old school film stars go my all time favourites are the Marx Brothers but Charlie Chaplin was something very special indeed. Btw, I stumbled upon this the other day, 6th picture down, nice! I should really check out the Marx Brothers. And probably some Buster Keaton someday to compare! 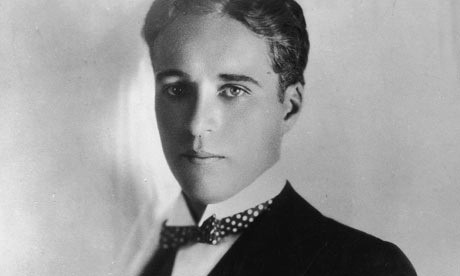 Yes, Chaplin is quite a hottie in some of those pics. 🙂 Eighth wonder of the world?? Hmm…! Chaplin was a great filmmaker. 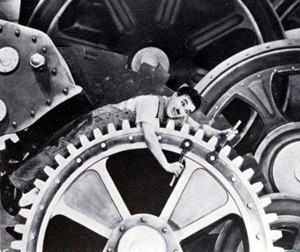 Loved Modern Times (1936) and City Lights (1931) , but his best is The Great Dictator (1940). Great parody of Hitler and the Nazi Regime. I really want to see The Great Dictator. I’m going to watch more of the older stuff first, though, as I know that one was much later. 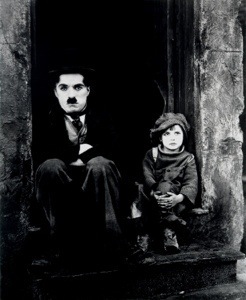 It was strange watching Modern Times first and then the much older The Kid.